Here are some links , can get these and fill it in a nice square pillow to sit above the subs,covered with these materials inside , DIY! Whatever you use, it still needs some mass and loading.. but rice is an interesting idea.. Depending on how light is the sub, vs the power, I’ll suggest a 10kg pack. And so, I took a bag of glutinous rice that my wife uses to make her kueh kueh as weight.. luckily she in a good mood yesterday, all she said was.. "why, so now beside soaking in water, have to massage and shake the rice so that my customer will find the rice nice is it"
Lol, I dare not touch the rice! Lol use alternative! 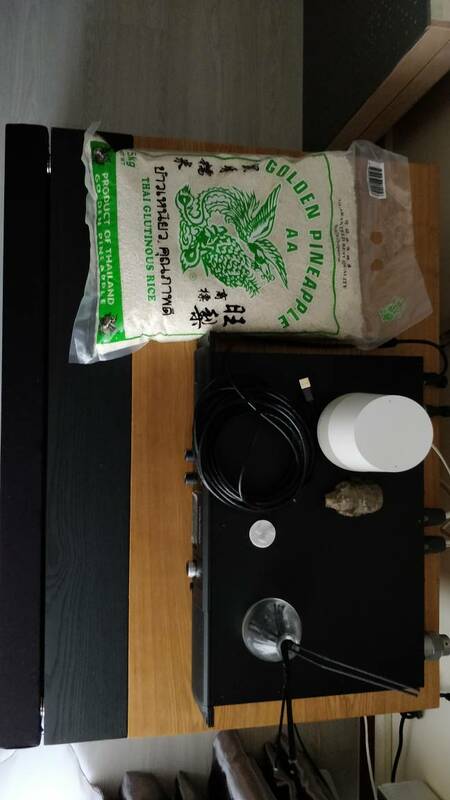 This rice sack thingy definitely won my vote for tweak of the year 2019! Those stay around Pasir Ris or near the beach can go collect one bag of white sand and put on top the sub. White Sands ! Free ! Big flower pot with soil or rice sticky will do wonder. Actually I think xmas tree will absorb more vibration because of leave structure. You won't know until you try , right. Hmmm.. which type of rice sacks to get? Those vacuum sealed types or those typical loose types? LaoHong type hv better area coverage mah... Vibration can loosen rice grain properties as well. Those solid vacuum seal type sibeh hard to bear thru vibrations, and will tend to move and fall easily. 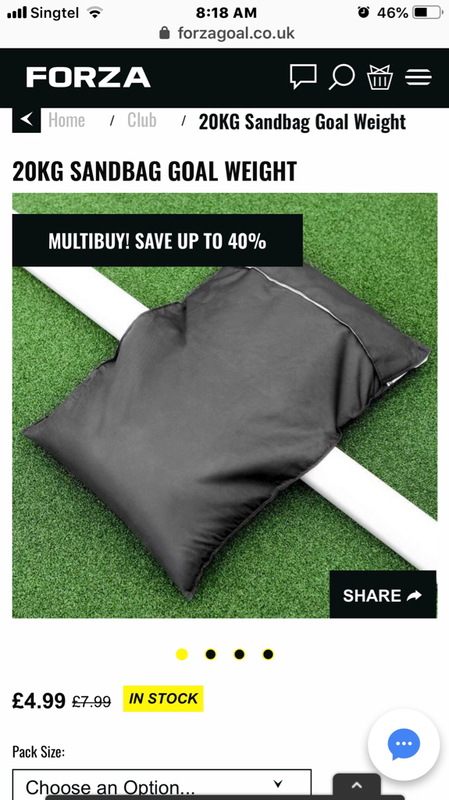 I saw some nice sandbag, 20kg ones, you can actually use it to exercise, then put it back to rest onto the subs when u r done with exercise , not a bad idea , covered nicely. That's the reason why i always prefer dual opposed sub design. Vibration control is so much better.